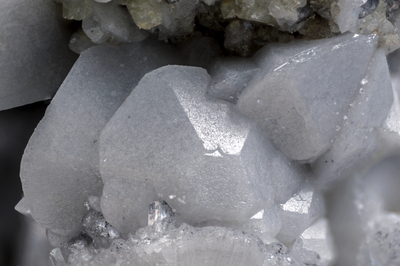 Aggregate of hexagonal crystals with base and bipyramid, whites, of hedyphane. Below it, a small crystal of hemimorphite and even more under the radiated aggregate of willemite. Collection and photo of Gianfranco Ciccolini.